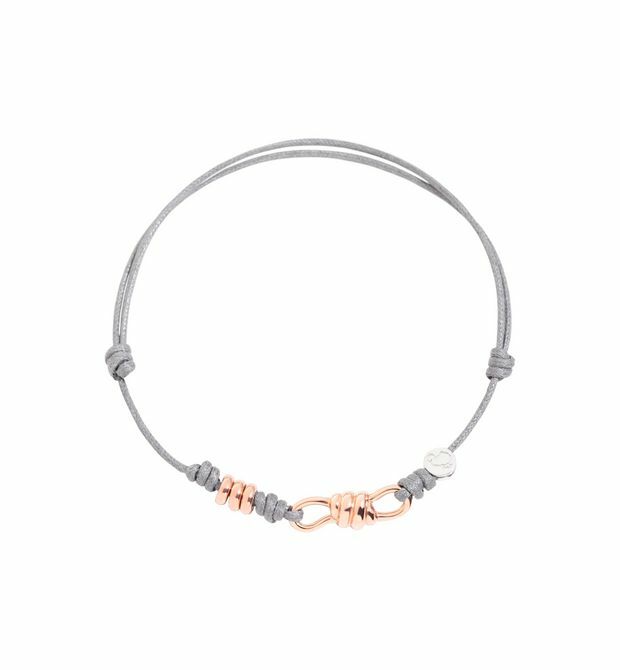 Grey cord bracelet with Nodo charm in 9kt rose gold and ringlets in 9kt rose gold. Silver seal closure. 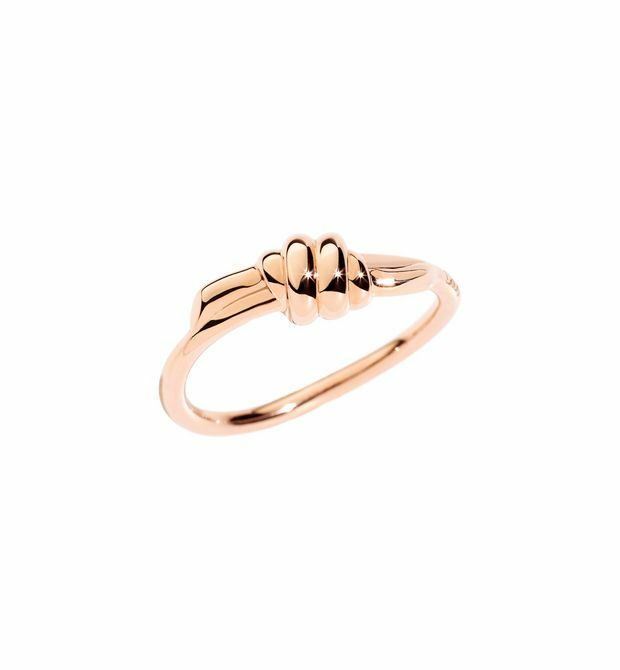 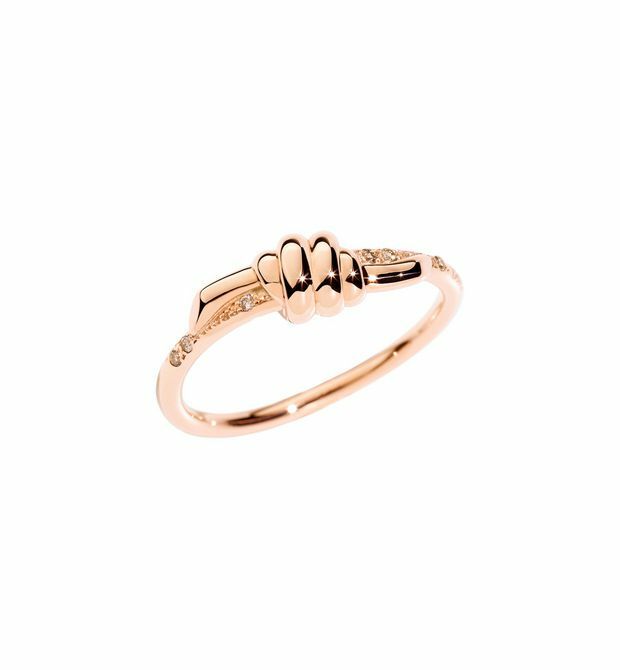 Nodo Ring in 9 kt rose gold with brown diamonds.